There are many many reasons to visit Amsterdam, but a city that's often called "Venice of the North" and "City of Canals", some of the best views are indeed around these water bodies. Whether you take a boat ride or just walk leisurely along these waterways, you cannot miss the beauty of Amsterdam Canal Houses. These are easily some of the most gorgeous buildings anywhere in the world. Take some time to marvel at the soaring gables and long, sleek windows or just wonder at their skinny profile and architectural quirkiness. Stunning photos! 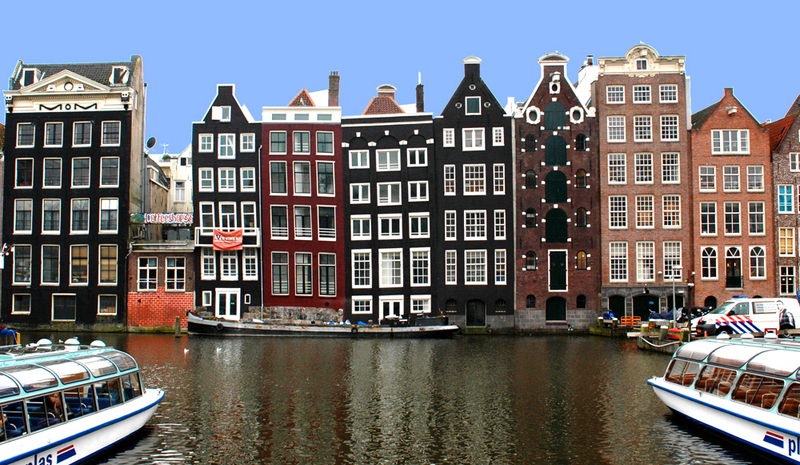 Going to be in Europe soon am seriously considering revisiting Amsterdam. Great looking through your images! Great images! It's not the most amazing city in the world, but it interesting and has a lot to offer. fantastic images of this amazing city makes me want to return. We visited in 2003 and 2006 and loved it laid back attitude and friendly people. Back in younger years when i used to partake their was nothing better than sitting by a canal at night and smoking the local specilty lol. I loved Amsterdam! It was a much better city than I had expected! Do you know, it is quite funny...I have travelled to Amsterdam over ten years ago but I can't remember ever seeing those cute houses that look just like what I have seen in Copenhagen not too long ago. It's clearly time to travel back and see the place again! I love your photographs - especially the one with the violinist standing by the window. Or the old guy on the bycicle. It's something I loved seeing in Denmark...everybody rides their bikes. It's such a normal thing to do. I have never been to Amsterdam before (only in the airport, but that doesn't count). I would like to go and your pictures are really nice.